Continuing with our investigation of Professor Jackson, we get to listen in on a conversation between the professor and one of his students. I could not find an assignment on the DS106 assignment bank that matched what I created, so I decided to make my own. 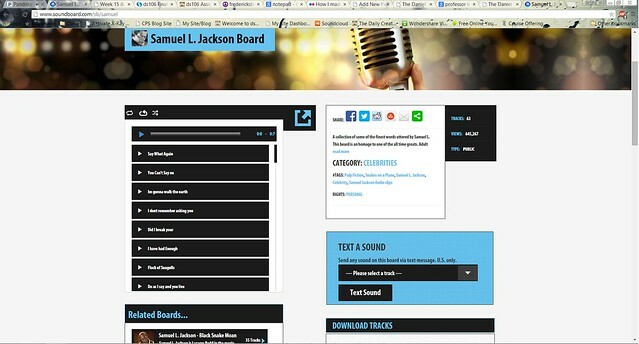 The assignment that I created is called Soundboard Conversation. The assignment is exactly what it sounds like: students are tasked with creating a conversation between themselves and an actor/TV character using a soundboard. I recommended using Soundboard.com to download sound clips. The link to the website is also on the assignment page. I used Soundboard.com for all of my sounds. All of the sound clips are taken from films that Samuel L. Jackson acted in. To begin, I wrote up a script for what the professor and I were going to discuss. I had to be careful when writing my own phrases so my lines could be answered by the available soundbites. 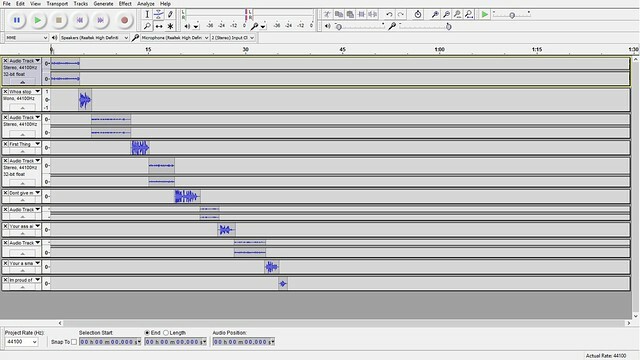 After I prepared the script, I opened up Audacity, where I began to record my lines. I recorded all of my clips first before downloading and importing Jackson’s clips from Soundboard. Here is the page that I downloaded the clips from. 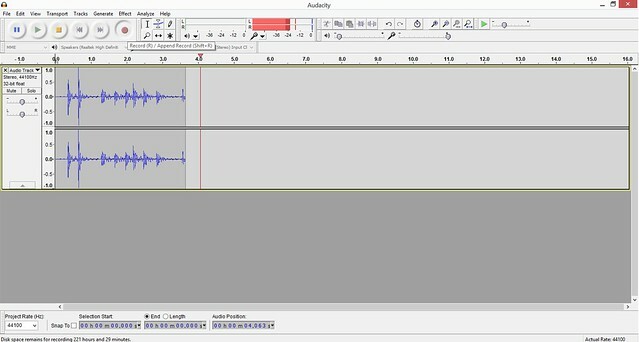 After I downloaded the clips that I needed (I chose six), I imported them into Audacity. I organized the clips in the correct order so that the conversation was together.